Flipkart Honor Days Sale is back once again and same as the last time, it has a plenty of Honor smartphones available on discount. 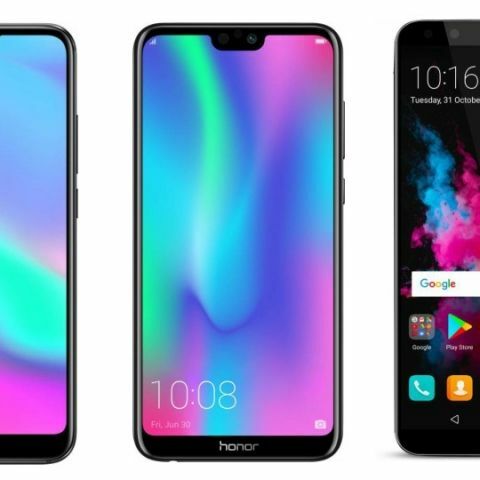 Flipkart Honor Days Sale has made a return once again in, which the platform is offering Huawei’s sub-brand Honor smartphones on discount. The sale has kicked off on December 13 and will last till December 16. So let’s take a look at the deals Flipkart is running on its site for four days. The Honor’s flagship device Honor 10 is now available during the sale for Rs 24,999 down from its MRP of Rs 32,999. The smartphone sports a 5.84-inch notched display, which comes with an aspect ratio of 19:9. The device is powered by Huawei’s own Kirin 970 octa-processor, which is coupled with 6GB RAM and 128GB internal memory. Check out the product here. The Honor 9i, which was earlier available on the platform for Rs 14,999 is now can be bought at a discounted price of Rs 11,999. The smartphone is powered by Huawei’s Kirin 659 octa-core processor and features a dual camera setup at both front and back. The device packs 4GB RAM and 64GB internal memory, which is expandable to up to 128GB. Check out the product here. The Honor 9 lite is regularly priced at Rs 14,999 but during the sale period, you can get the device 4GB/64GB variant for Rs 11,999. The Honor 9 Lite 3GB/32GB base model is also up for sale and available at a discounted price of Rs 9,999. Check out the product here. The Honor 9N comes with Kirin 659 octa-core processor and a dual 13MP + 2MP rear cameras. The smartphone 4GB/64GB variant is available during the sale for Rs 10,999 down from its MRP of Rs 13,999. There is also an offer on its base 3GB/32GB model as it is available for Rs 8,999 against its regular price of Rs 10,999. Check out the product here. The Honor 7A is another budget smartphone by the company that comes with a 5.45-inch HD+ display and a dual 13MP + 2MP rear cameras. The smartphone is available during a non-sale period for Rs 10,999, while during this sale you can get it for Rs 7,999. Check out the product here.